services agency, has a private psychotherapy practice, and is an adjunct faculty teaching psychology and social work courses. 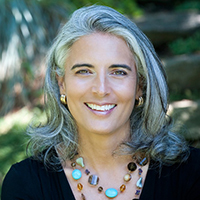 She is an intensively trained DBT therapist and a certified QPR suicide prevention Clinician. She is a PhD candidate at Smith College where she also earned a Masters in Social Work Degree. She is also is a psychology graduate of MCLA. In 2014, Jean’s longstanding clinical and community work garnered her the Deval and Diane Patrick Award for Cultural Competency; presented through Multicultural BRIDE. With her communications and public relations business, RMDews Media, Roberta McCulloch-Dews harnesses her expertise as a former newspaper journalist as well as that of working in marketing communications for a variety of fields. For Roberta, service and volunteerism is essential to advancing a community, and giving back is a privilege. Born in Jamaica, West Indies, Roberta’s family immigrated to the United States in her early years. During that time, she witnessed the powerful combination of education, hard work, and perseverance. Understanding firsthand the importance of all three factors, Roberta is intentional about her community work, and helping others move forward on their journey. In addition to her work as a R.O.P.E mentor, Roberta is also a mentor through the Multicultural BRIDGE mentoring program. Her involvement also includes serving on the Massachusetts Commission on the Status of Women, the Board of Trustees for the Norman Rockwell Museum; and the Berkshire Compact. Pastor Akilah Edgerton was born in Bronxville, New York to Bishop Jerome and Shirley Edgerton. She studied dance since the age of three, performing with ballet academies in New York and Massachusetts. At the age of thirteen she co-founded the Youth Alive Step, Dance and Drum Team. YA is a source of pride and proven itself as an effective positive youth development organization in Berkshire County. Academically, her formal education began in public and parochial schools in New York. She attended Pittsfield Public Schools and graduated from Miss Hall’s College Preparatory High School. 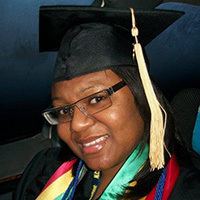 In 2009 she graduated with honors from North Carolina A&T State University with a Bachelors of Social Work and a Certificate in Global Studies. During her studies she received the prestigious Benjamin A. Gilman Scholarship and studied in Accra, Ghana. This began her international outreach. Since 2007 Pastor Edgerton has returned annually to Ghana as a board member of the Ghana Educational Collaborative. She is committed to giving back and sharing her gifts and talents with youth in Ghana as well her students at Berkshire Art and Technology Charter School and the Pittsfield community. Pastor Edgerton was ordained in 2014 and is the pastor of New Generation Global Ministry. Pastor Edgerton continues to embrace opportunities to learn. 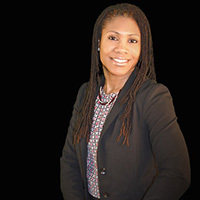 In 2013-2014 she was a member of L.I.P.P.I (Leadership Institute for Political and Public Impact) of the Women’s Fund of Western Massachusetts; she has served on the grant-making committee and is a mentor and facilitator for the Rites of Passage and Empowerment Program for Girls. Jerome Edgerton Jr. is a Community Activist, Writer, Musician and Therapeutic Mentor at the Brien Center for Children, Adolescents and Substance Abuse. In 2012 he was awarded the first Tupelo award from Berkshire Taconic Foundation. Besides researching and expanding his knowledge in African Drumming he wrote a well-received production entitled the ” Evolution of Rhythms”, a musical teaching the history of beats. As the Musical Director of Youth Alive he developed the drumline into a band that plays original, popular tunes and transforms to a marching band during parade season. Jerome is not only a creative genius in the arts but he is a Basketball Coach at Pittsfield High School. In August 2015 he was inducted into the New England Regional Basketball Hall of Fame for his prowessness on the court as a high school player. Lastly but not least Jerome is a minister and motivational speaker. His passion is to share his talents, experiences and insights with youth. Destiny Saunders is multi-talented in many arenas. Besides her interest in the arts she is a beauty consultant and stylist. She graduated from Mitchell College with a B.A. and is employed at the Brien Center as a Caseworker. She has choreographed numerous step and dance routines for Youth Alive, produced fashion shows. 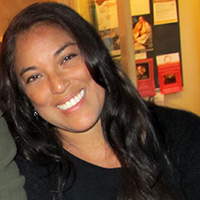 As of 2015, Serina L. Saunders has become a new addition to the ROPE mentor group. She exhibits profound multi-dimensional skills as she aids our young women in the process of empowerment and self-exploration. Her distinct personality draws the young women of ROPE to her mentoring capabilities. 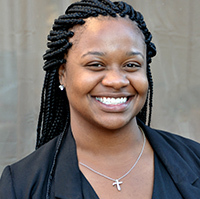 She has studied at Johnson & Wales University, Providence campus while majoring in Counseling Psychology with a concentration in mental health. Not only is she a ROPE mentor but she is also the Site Coordinator for Flying Cloud Institute, Young Women in Science STEM program. Along with being a young hard-working individual, She finds recreation in dance and so has joined Shirley Edgerton’s Youth Alive program as a Dance Coach, teaching the latest hip hop dance moves as an expressive outlet. She provides great understanding, patience and encouragement to all youth and envisions a better community for all youth to progress and succeed. Ms. Sirker holds a B.A. in English from Cornell University and an MFA in Acting from New York University. Professional memberships and affiliations include Actors Equity Association, Screen Actors Guild, Dramatists Guild of America. Additional certifications include Honors in Dance from the New Orleans Center for Creative Arts and Master Yoga Teacher Certification from Kripalu Center for Yoga and Health. 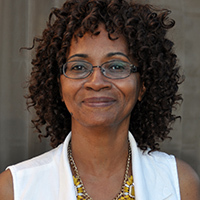 For R.O.P.E., Ms. Sirker has served as playwright, curriculum designer, teaching artist, and grant writer. Working in collaboration with Nakeida Bethel-Smith and Marla Robertson, she designed the curriculum and served as playwright for the acclaimed multi-disciplinary theatrical work, ENUF! Based on the true life stories of 12 young ROPE women from Pittsfield, Massachusetts, ENUF! was inspired by OBIE Award winning play, For Colored Girls Who Have Considered Suicide When the Rainbow is Enuf by Ntozake Shange. ENUF! gives focus to the experience of young women of color living in a predominantly white society. With music by Jerome Edgerton and Youth Alive Band, ENUF! premiered in August of 2013 as a Barrington Stage Company (BSC) education project with funding from Women’s Fund of Western Massachusetts. The 30-minute play drew sold out houses leading to encore performances at BSC’s St. Germaine Theater. The continued demand for this work led Sirker to co-produce to ENUF! On Tour with Mrs. Edgerton. ENUF! On Tour performances included Taconic High School, Pittsfield High School, Berkshire Art and Technology High School, Simon’s Rock College as a Berkshire Festival of Women’s Writers project, and Berkshire Community College. Ms. Sirker has served as ROPE Artist in Residence in area after school programs. Yvonne West is a registered nurse of 24 years and currently works at Laurel Lake Health and Rehabilitation Center in Lee, MA. 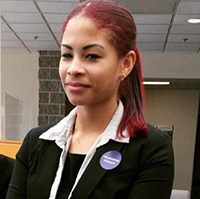 She is a mother of two: Mariah, a third grader, and Keiana, currently enrolled at Williams College. Yvonne is an Associate with the Women of Color Giving Circle in Pittsfield and is president of Price Memorial A.M.E. Zion Church’s missionary group. She also serves as a registered nurse for the Pittsfield Human Rights Committee. Yvonne helps the R.O.P.E. girls by giving lecture on women’s health issues and was a recipient of the 2013 “Unsung Heroine” award, which each year recognizes women from their community for making a difference even if they don’t make headlines.